Are you looking for an engaging and inspirational speaker for your next podcast, webinar or live stream? Contact Krishna to explore how she can support you covering topics such as integrated communications, content strategy, digital and social media marketing trends, online reputation, digital PR, crisis management or personal branding. 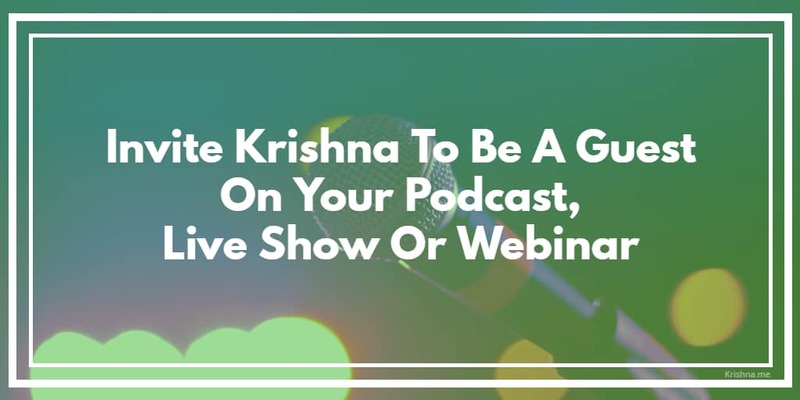 Krishna is an expeirenced podcast and live stream host so understand best in class delivery for virtual events. She will leave your audience with new ideas and will inspire them to take action. Then Krishna would love to connect with you. Contact Krishna to start to plan your next live event. If you prefer to submit details of your event to Krishna in advance of your conversation you can complete this form.